Another Vancouver Tea Festival purchase and the second oolong out of four from the sampler set that I purchased from Aroma Tea House’s booth. 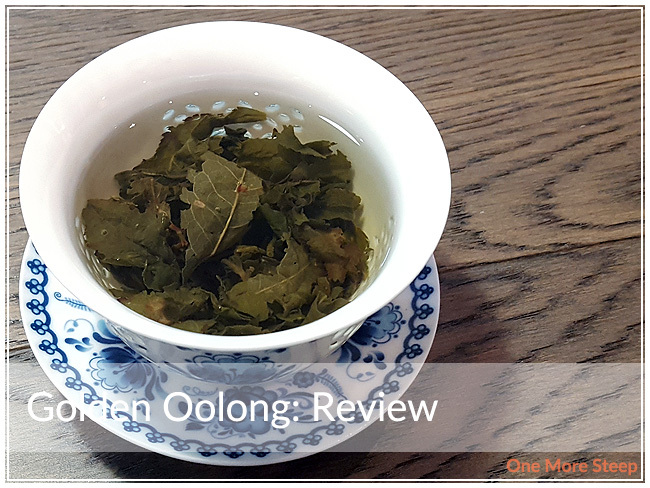 Like the Formosa Oolong that I reviewed earlier this month, Golden Oolong came to me in a sturdy little cardboard tube that holds the tea inside. The tea leaves vary from light green to a darker forest green. The aroma from the leaves was both floral and nutty, which was an interesting flavour combination to smell. I found it to be more vibrant than expected from an oolong. As part of the sampler packaging, there were no steeping instructions on the cardboard tube. On the product page online, Aroma Tea House recommended steeping Golden Oolong in a small teapot for 15 to 30 seconds, with no suggestions for water temperature. I used my Breville IQ Kettle‘s green tea temperature setting of 175°F (79°C) and steeped it for 30 seconds. 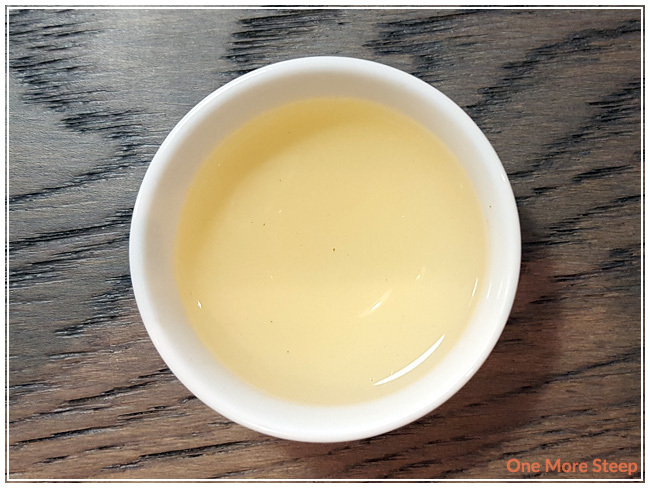 I prepared Golden Oolong in my gaiwan, doing short steeps and pouring the tea out into a small tasting cup throughout the process to taste. 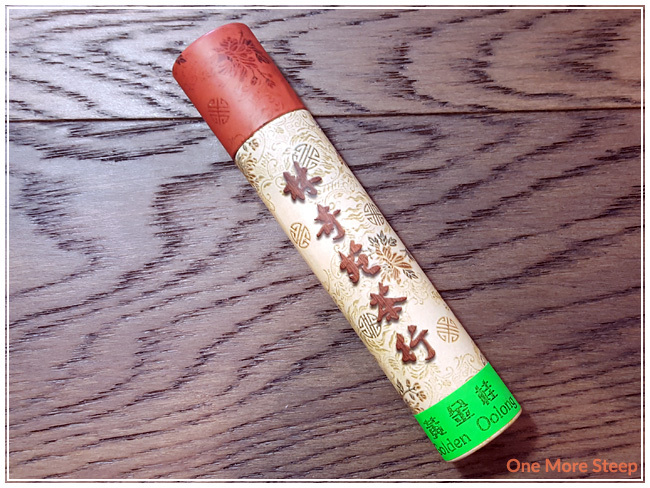 The aroma of Golden Oolong is primarily that of the flowers – the product page on Aroma Tea House’s website suggests that it smells like osmanthus flowers. The floral smell is bright and inviting. I can definitely figure out where Golden Oolong got its name with the colour of the steeped tea. 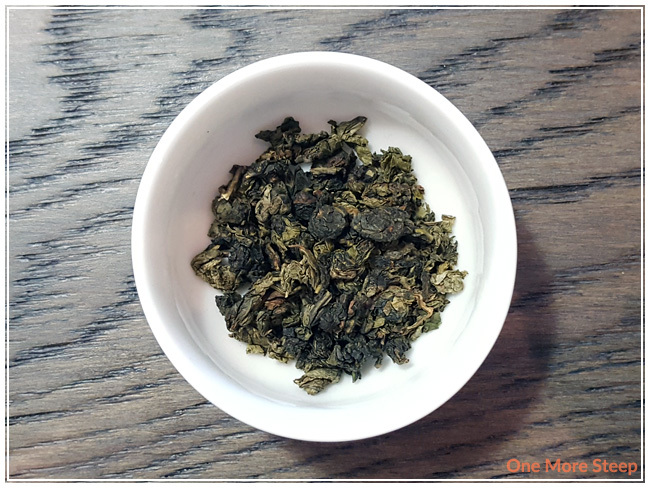 The taste of Golden Oolong is a bit nutty and floral, with a hint of sweetness. With the short steeps that I did, I found that the tea remained smooth with no bitterness or astringency noted. It had a light creamy mouthfeel to it that I found really enjoyable. 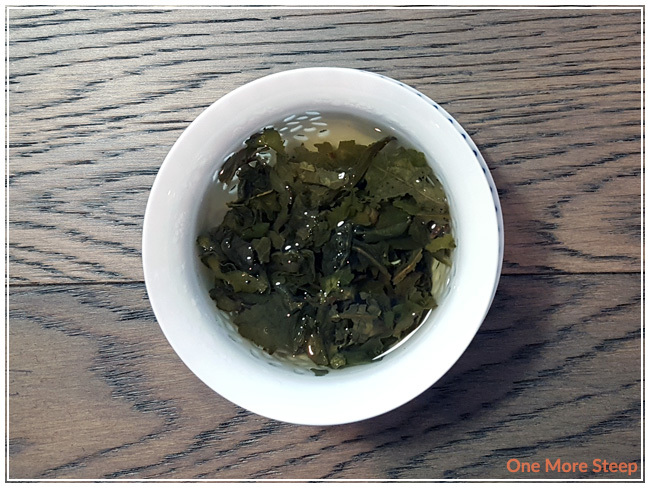 With the gongfu method of preparing the tea in my gaiwan, I resteeped the same leaves fifteen times. I kept the steeping time at 30 seconds for the first five resteeps before increasing gradually at 15 seconds for each subsequent resteep. I found that the colour of the tea became more dark gold as I continued to steep the tea. The floral notes got stronger while the nuttiness became less and less pronounced. I loved Aroma Tea House’s Golden Oolong. I found it to be a very pleasant tea to drink, and the flavour profile was complex enough to keep me interested throughout all the steeps. 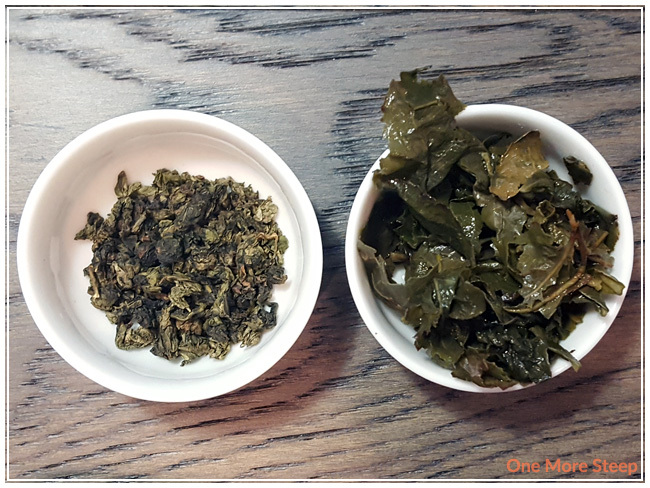 If you opt to steep in a teapot instead of a gaiwan, I would recommend keeping the steeps short since it doesn’t take long to make a good cup of tea – and definitely resteep those leaves! They did so well and it made for a great tea drinking session.